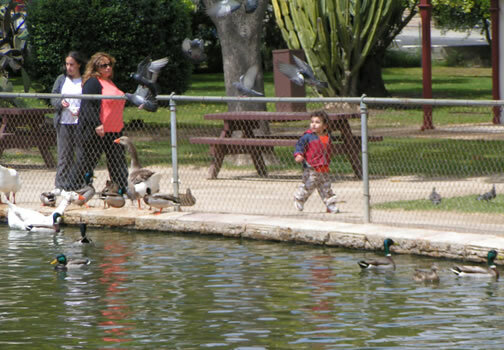 One of the biggest draws at Los Encinos is our lively population of ducks and geese. We provide duck food at our coin operated dispenser. We do not encourage you to bring bread, since the ducks and geese can't digest it properly.